Ritchie Blackmore’s Rainbow will release their new live album, “Memories In Rock II”, on 2 CD/DVD on April 6. The follow-up to 2016’s “Memories In Rock - Live In Germany” – which captured the guitarist’s return to the rock stage for the first time in two decades – presents the band in concert over three 2017 shows in the UK. 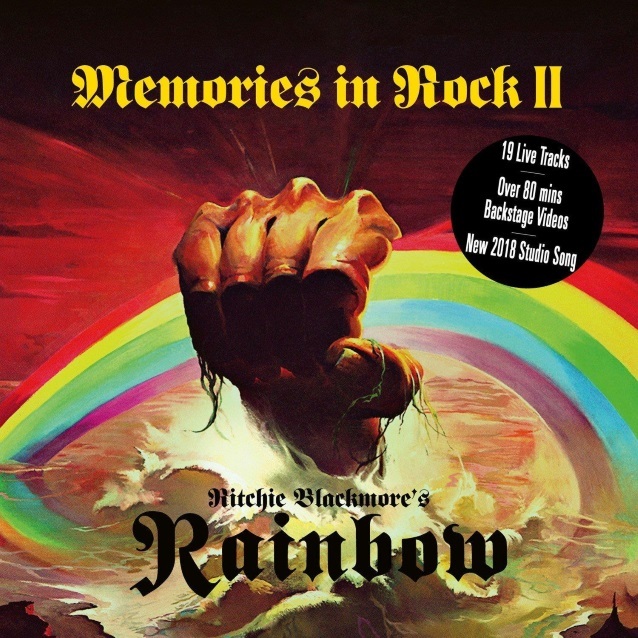 “Memories In Rock II” combines new live versions of classic tracks from Blackmore’s time with both Deep Purple and Rainbow alongside backstage footage and interviews with the entire revamped Rainbow lineup – including the guitarist, vocalist Ronnie Romero, drummer David Keith, bassist Bob Nouveau, keyboardist Jens Johanssen, and backup singers Candice Night and Lady Lynn. The package will also include the first new Rainbow single since 1996, "Waiting For A Sign", which will be available on March 16. “Memories In Rock II” is being previewed with an extensive behind-the-scenes video package that mixes live footage with band interviews. Ritchie Blackmore’s Rainbow will launch the project with a series of live dates in April, including shows in Russia, Finland, Germany and the Czech Republic.